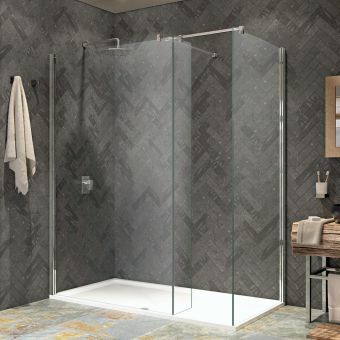 The SP400 Shower Screen from Aqata's series of frameless shower enclosures is another prestige product from this leading innovative UK manufacturer and will add touches of elegance, luxury and taste to any bathroom or wet room surrounding. 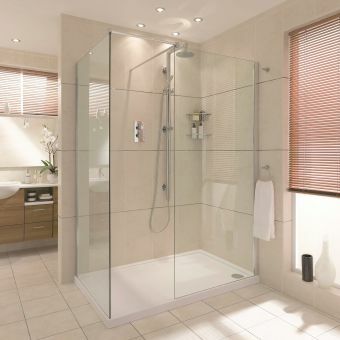 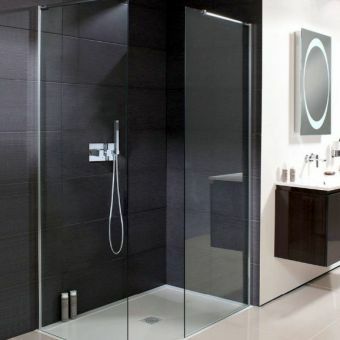 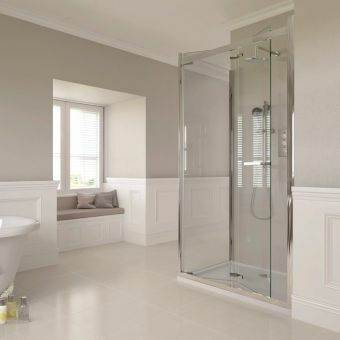 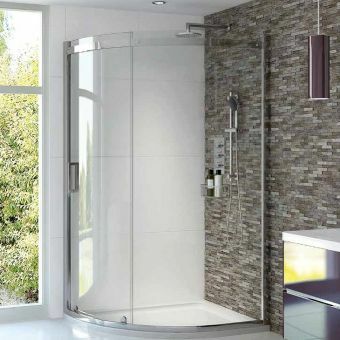 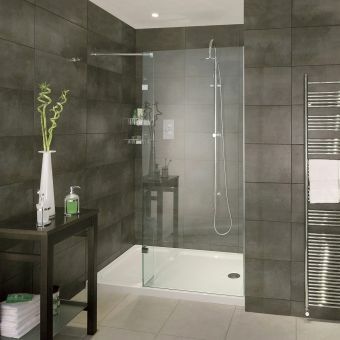 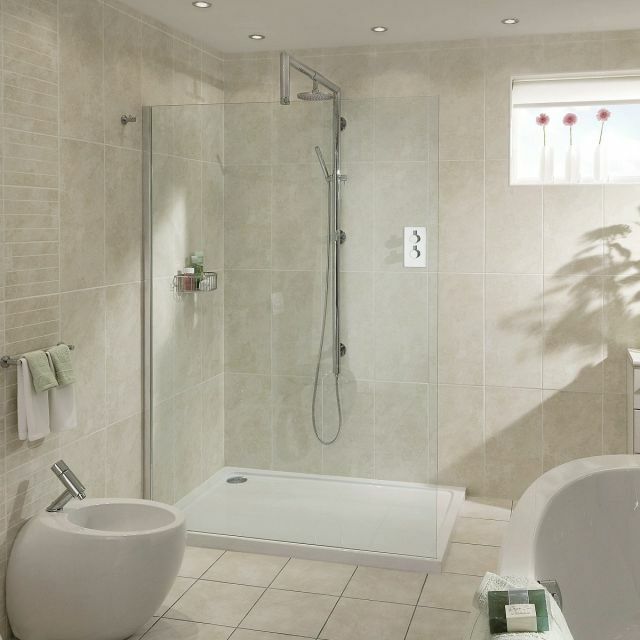 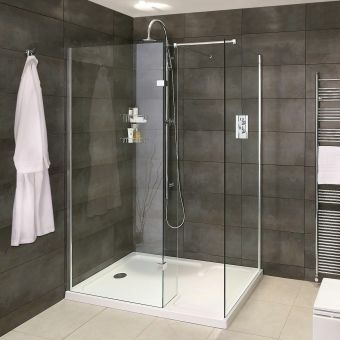 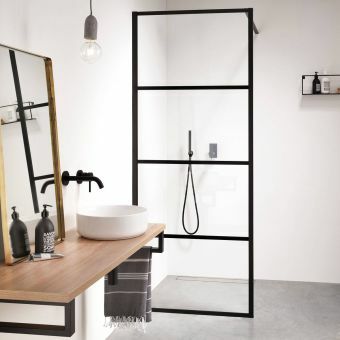 The screen, made from 8mm toughened glass, is available with left- or right-hand entry and can be fitted together with a standard shower tray from the Aqata range. 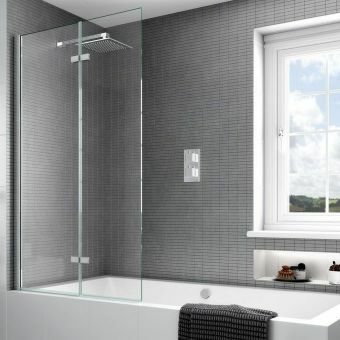 The steady bar and built-in wall adjustment with its concealed fixings are finished in polished chrome. 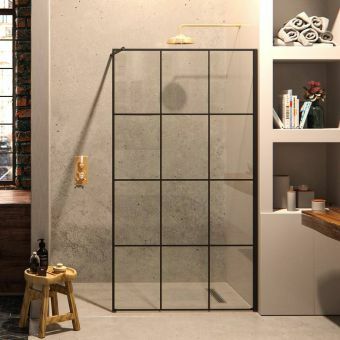 The versatile SP400 screen comes in a wide range of sizes, from 700mm to 1400mm in width. 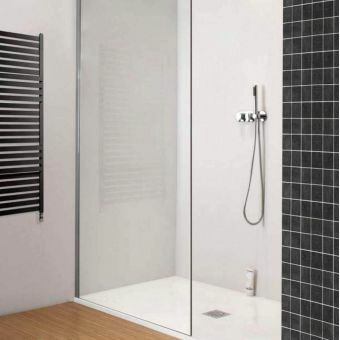 Glass height is 1950mm and the enclosure height is 1975mm with steady bar.